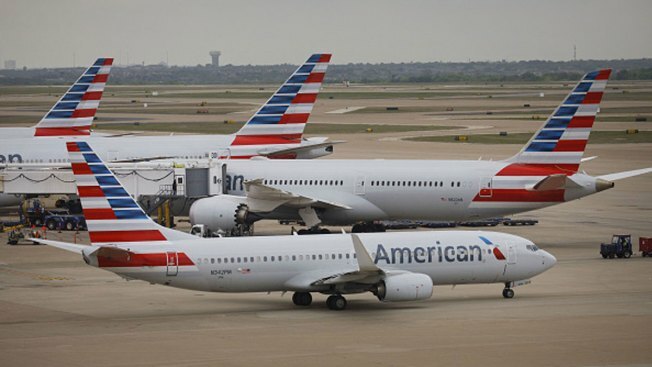 In this file photo, American Airlines Group Inc. planes stand at Dallas-Fort Worth International Airport (DFW) in Grapevine, Texas, U.S., on Friday, April 6, 2018. American Airlines kicked a Michigan family off a plane in Florida Wednesday night over what the airline said was complaints from other passengers about their body odor, NBC News reports. The airline stood behind its decision, saying "the Adler family were asked to deplane last night after several passengers, along with our crew members, complained about their body odor."